The Museum is open from 11-5pm and is located at 280 The Fenway, Boston, MA 02115. More information can be found here. Wicked Cheap Tip: Reserve Boston Public Library Museum Passes for Free or Cheap Fun! Did you know that you can reserve museum passes for free or discounted admission with your valid Boston library card? You must have less than $10 in fees to reserve, and the passes are only distributed to the person who made the reservation. If you would like more information or would like to reserve a museum pass, you can do so here. Please make sure you return your pass in on time, as there are fines for late or lost passes. You can reserve passes up to 60 days in advance, so if you have a select day or place in mind, you may want to reserve early. If you have kids (of your own or in a classroom) you may be interested to read about the Read to Succeed Program offered by Six Flags. Children in grades K-6 who complete 6 or more hours of recreational reading can earn free tickets to Six Flags! 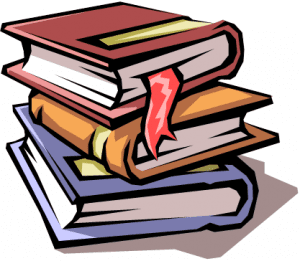 If you participated in the program last year, you will need to register again for the 2012-2013 school year by March 1, 2013. More information about this program can be found here. Free Museum Weekend for Bank of America & Merrill Lynch Customers! Bank of America & Merrill Lynch offers free museum entry for cardholders for the first weekend of every month, which is this weekend, Saturday, December 1st & 2nd! If you are a Bank of America or Merrill Lynch customer, you may be able to get into your favorite museum for free by just showing your bank card! Museum of Fine Arts, Harvard Museum of Natural History, Cape Cod Museum of Art are all on the list, plus much more! 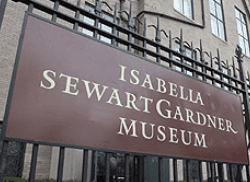 Free Admission at Isabella Stewart Gardner Museum! On Labor Day, Monday, September 2, 2012, the Isabella Stewart Gardner Museum has invited the public in for FREE in honor of long-time trustee and supporter, Frank Hatch. Free timed tickets will be available starting at 11 a.m. with the last entry at 4 p.m. Tickets are available on a first come, first serve basis. For more information, please click here. Forget Labor Day, if you are a museum member, under 18, military member, or named Isabella you can get in FREE any day! College students can also get in for $5 with their college ID!